Shaving creams usually have active ingredients like emulsion oils and surfactants that are supposed to lubricate and desensitize the skin during shaving and swell keratin in hair and skin. When choosing the best shaving cream for men, you should consider the type of shaving the cream is suited for, comfort, protection, and scent. Here is a list of the top ten shaving creams that are rated 3.8 and above out of a 5-star rating system and have dozens or hundreds of reviews from verified customers. 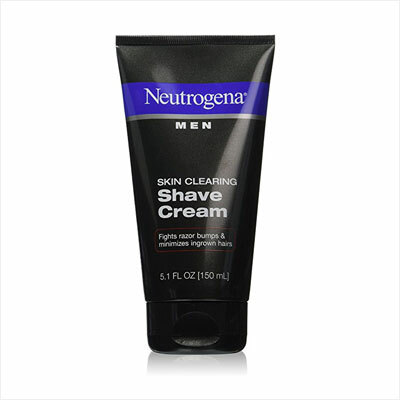 Neutrogena skin clearing shave cream is oil-free and comes in a 5.1-ounce container. This product is great for minimizing ingrown hairs and fights razor bumps by providing a clean, smooth shaving surface that helps the blade glide across the skin, but not over hairs. It leaves your skin healthy-looking and clear while minimizing razor bumps, ingrown hairs, and irritation as its no-foam formula is medicated to prevent breakouts. A thin layer of this shave cream provides a protective barrier between the skin and the razor as long as it’s used for wet shaving. The rash-free shaving cream from SLK’N has a vegan formula that’s free of parabens and added fragrances; in addition, it’s manufactured in eco-friendly facilities powered exclusively by wind energy, which makes it the best shaving cream for environmentally-conscious men. It contains natural extracts coconut, apricot kernel, sweet almond, and sesame oils plus organic aloe extract, to name a few. 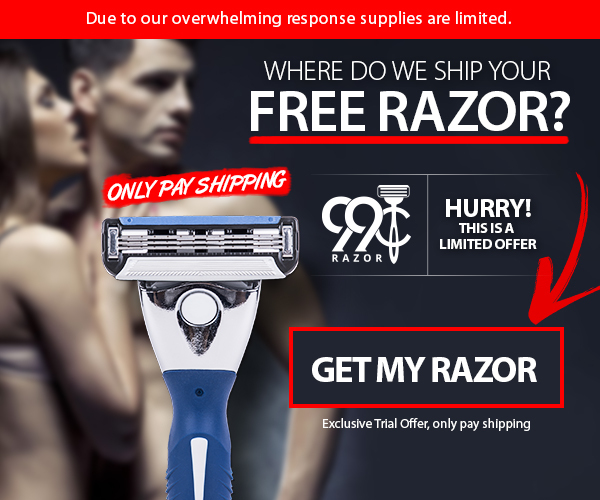 According to customer reviews, this is a fantastic product for vintage shaving blades or any multiple blade razor. This traditional Swedish shaving cream is a blend of western red cedar and sandalwood designed to be used with straight razors. Viking stands firm on its commitment to providing a shaving cream that is 100% pure raw manliness with this thick and luxurious shaving aid. Unlike other shaving creams, this product is whipped and applied with a wet brush to your face where the foam quickly evaporates into a slick and lubricated surface. It is the best shaving cream for men who enjoy a traditional shaving brush and straight razor shave. However, the manufacturer notes this product is not designed for customers looking for a “Santa Beard” lather cream should skip this product as it’s a surfactant-based cream, not a lathering one. Maple Holistics offers the best shaving cream for men with sensitive skin looking for a natural product. This cream, made with oatmeal, aloe, and sandalwood, provides users a smooth and fresh face after every shave and works great for those with skin allergies, too, as it’s unscented, hypoallergenic, and free of sulfates and parabens. This is another foam-free shaving cream that can be used with any type of shaver and leaves the skin super hydrated and smooth. 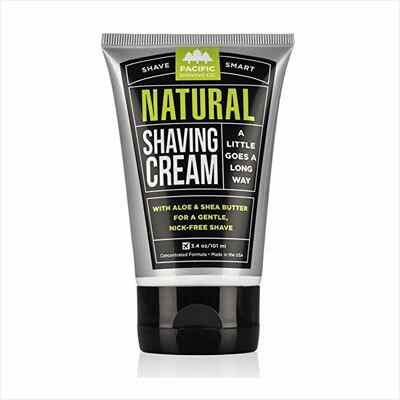 The all natural shaving cream created by the Pacific Shaving Company is induced with aloe and shea butter to create a gentle surface for your razor to glide right over. This cream boasts all natural and certified organic ingredients, which work together to create a low-lather formula with outstanding lubrication and protection during and after the shave. According to online reviews, the cream softens hairs and creates a silky lubrication to ease the shaving experience and leaves the skin hydrated, soothed, and protected from the environment. Although this tube is a compact 3.4-ounces, it goes a long way as it also has a dense formula. 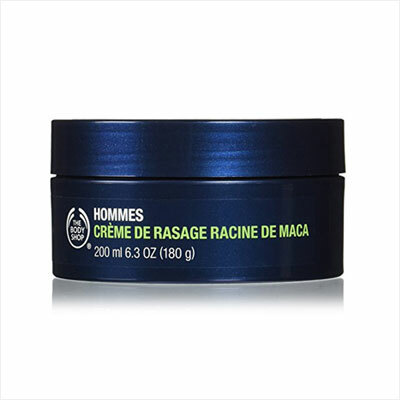 This shaving cream for men has aloe extracts as active ingredients and has a gentle, manly, minty smell. Many customers compared its scent to a mild soap, mentioning it’s barely noticeable. They also note it has a lightweight, yet rich foam that is able to hydrate the skin and provide a healthy look of the face while also leaving it protected from environmental factors. 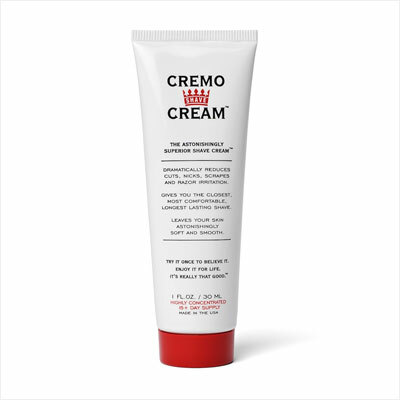 Cremo original shave cream is a superior shave cream that reduces the number of nicks, cuts, and irritation while leaving the skin soft and smooth after every shave. According to online reviews, this product is perfect for wet shaving and is extremely effective at providing a closer and longer lasting shave than most other brands. 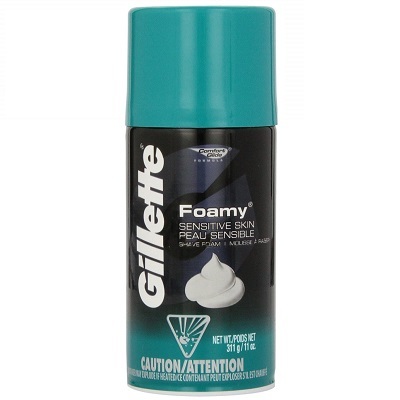 The manufacturer states this is the best shaving cream for men who go against the grain for a smoother look. It doesn’t lather, but instead coats the skin with ultra-slippery molecules that soften the hairs and make them stick out. The Meca Root shave cream by the Body Shop is, according to online reviews, the third best shaving cream for men who enjoy a very close shave. This rich cream is skin-softening and provides a reliable layer of protection to the skin, preventing cuts, nicks, and other irritations while shaving. The Peruvian maca root, creatine, brazil nut oil, and sesame oil work together to enhance the skin’s vitality, making it softer and more moisturized than ever before. The latter also has antibacterial properties. Soothing hints of aloe vera work to hydrate the skin, leaving it fresh for hours after your shave. 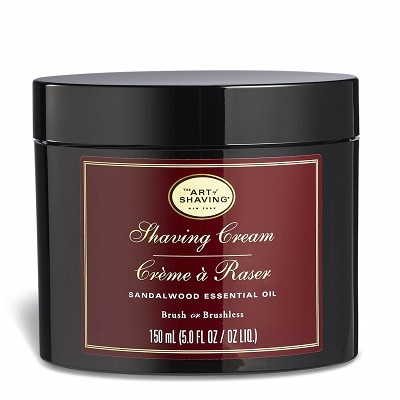 This luxurious shaving cream by Art of Shaving is a softens and lifts the hairs for a closer and more comfortable shave while also providing a reliable protection to the skin. It contains sandalwood essential oil, glycerin, and coconut acid among its active ingredients and has a foamy rich lather with fewer air bubbles to improve razor glide and soften hairs. Its formula is completely free of alcohol and synthetic dyes. It’s the second best shaving cream for men according to online reviews and ratings, but some customers mention it’s not the best for sensitive skin. 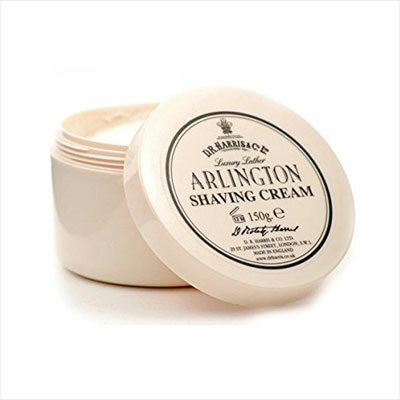 Arlington Shaving Cream by D R Harris is, according to ratings and reviews from verified customers, the best shaving cream for men. This luxuriously smooth shaving cream is extremely concentrated, so even the smallest amount will provide a comfortable shave. This product has a soft scent created by the natural blend of citrus and fern, leaving a light fragrance behind after every application. It can be applied with a shaving brush or directly with the hand, although it truly shines during a wet shave. This product is guaranteed not to dry out the skin; instead, it will leave it soft and moisturized, according to customer reviews. Each of the cream products on this list will provide a smooth and lasting freshness your face will absolutely love. Whether you are looking for something to dry shaving or a traditional wet shave, this list is sure to provide a reliable option. 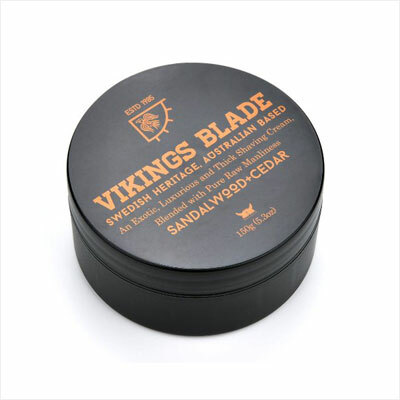 Personally, we are quite partial to the Vikings Blade shaving cream, if only because we like their angle and product design so much. Which product would you consider the best shaving cream for men? Tell us in the comments!